Hello and welcome to the Ohio SHRM State Council! Our membership is made up of volunteer leaders who are elected or appointed to The Council and includes 25 Chapter Presidents of our local SHRM affiliated chapters in Ohio. 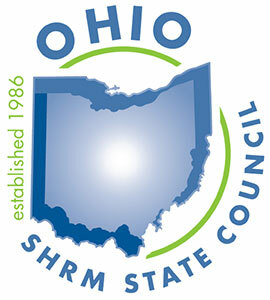 The Ohio SHRM State Council is dedicated to leading, educating, and inspiring over 12,000 HR professionals in Ohio. We also serve to make an impact in our local communities by giving back and making HR visible by participating in activities such as workforce readiness and getting involved in the legislative process by making our voices heard as part of our local delegation to our stated and federal lawmakers. Our mission is to coordinate SHRM chapter efforts and provide leadership, professional development, support and ideas to facilitate the role of chapter volunteer leaders in the State of Ohio. Our largest event is our annual state conference, held in September of each year. This year, we expect over 1,000 Human Resource Professionals to join us to network with peers, earn re-certification credits, interact with the many sponsors at the Exhibitor Hall, and learn leading edge HR practices from our great lineup of session speakers. We hope you can join us for our annual Ohio Human Resources Conference September 18-20, 2019 at the Greater Columbus Convention Center in Columbus. 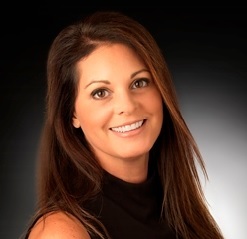 You can find more information about the conference and our 2019 Ohio HR Conference Committee, led this year by Bonnie Thompson, SHRM-SCP, SPHR by clicking here. SHRM Membership and Chapter Membership are the perfect combination. If you are not a member of a local SHRM Chapter in Ohio, please consider joining to gain access to networking opportunities, career resources, and professional development opportunities. Click here for a listing of our chapters across the state. SHRM membership is separate from membership in your local chapter. By joining SHRM you will gain access to thousands of HR resources and hundreds of professional development opportunities. To learn more about the benefits of SHRM and how to join, visit SHRM’s membership page. Thank you for visiting our site. We hope to connect with you and we are an available resource to you. As State Council Director, I am honored to serve HR professionals in Ohio and lead our organization in 2018-2019. I am also grateful to be working with all of our volunteer leaders and in an organization full of capable and passionate people that make all the difference within our State and our communities. I am excited about what the future holds for us and what we will achieve together with a common mission to advance the profession and serve HR professionals. The Ohio SHRM State Council respectfully requests that visitors refrain from using the information in this site for business development and selling purposes. Solicitations are prohibited.